When it comes to fun projects, we love anything that can be made with a Clay Pot. 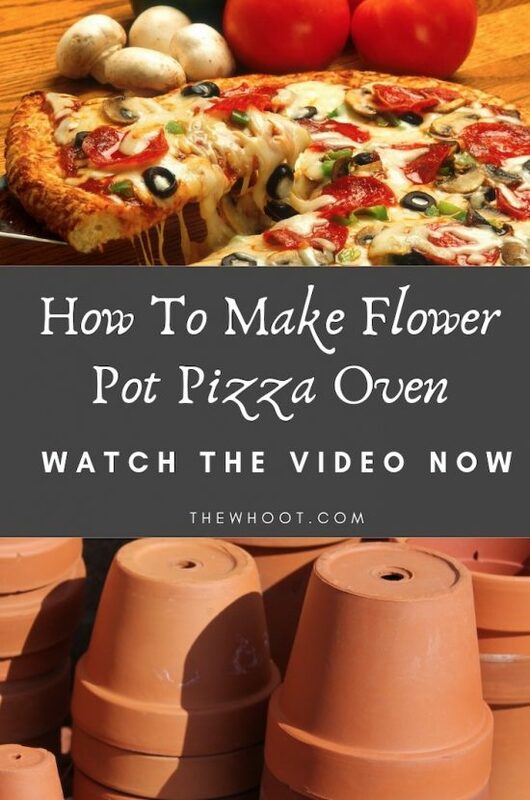 Today we show you how to make a Flower Pot Pizza Oven and it’s awesome. View now. Over time, we have shared lots of different projects and time and again, it is the Flower Pot Crafts that are consistently the most loved and shared on our Facebook Page. The Flower Pot People and Critters have been very popular and everyone loved the Flower Pot Smoker too. 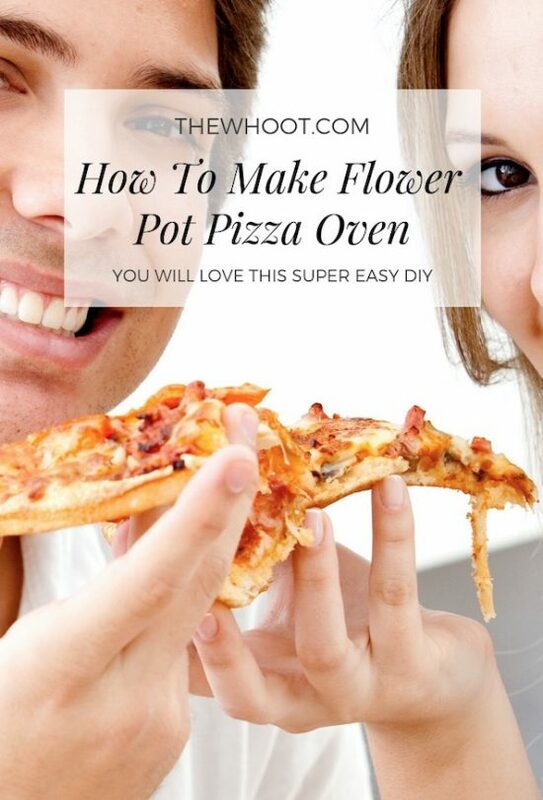 Today we share another idea and that is how to make a Flower Pot Pizza Oven. Nifty Outdoors is the creator behind this genius idea and we can’t wait to make one ourselves. Flip the pot so the bottom side is up. Take the U-hook and mark the 2 points, then drill a hole so it will fit through. Make sure to start with a smaller drill bit and work your way up. The drill bit heats up and may crack the clay pot, so have water to cool off the drill bit and hole. Place a nut and washer on each end of the hook and thread it through the holes. Carefully flip the pot on its side and place washer and nut to secure the U-hook. Once it is secured, it will become your handle. Heat up charcoal in firepit or grill. Once the charcoal is heated through, place grate on top of firepit or grill. 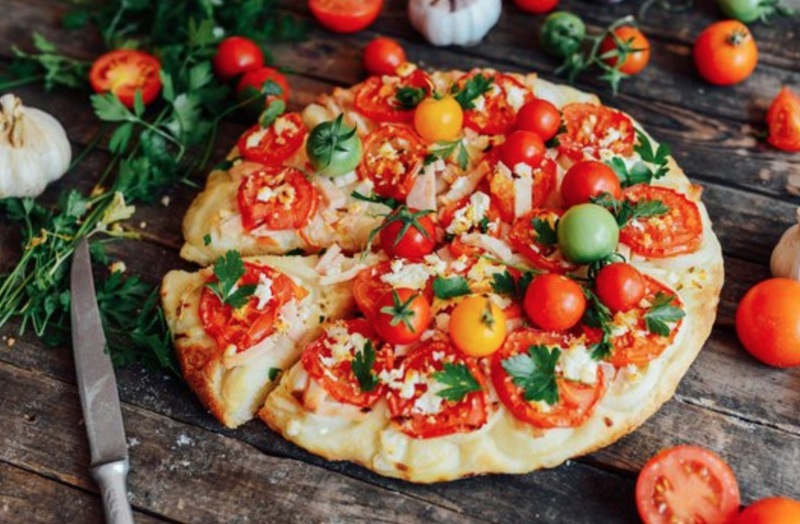 Place pizza on the pizza stone or pan and place on the grate. Be sure to use mitts to protect your hands from the heat. Carefully place the terracotta pot over the pizza. Hold the pot by placing one hand on the handle and another hand at the bottom of the pot for support. Cook for at least 3 minutes. Adjust cooking time according to the thickness of the pizza.